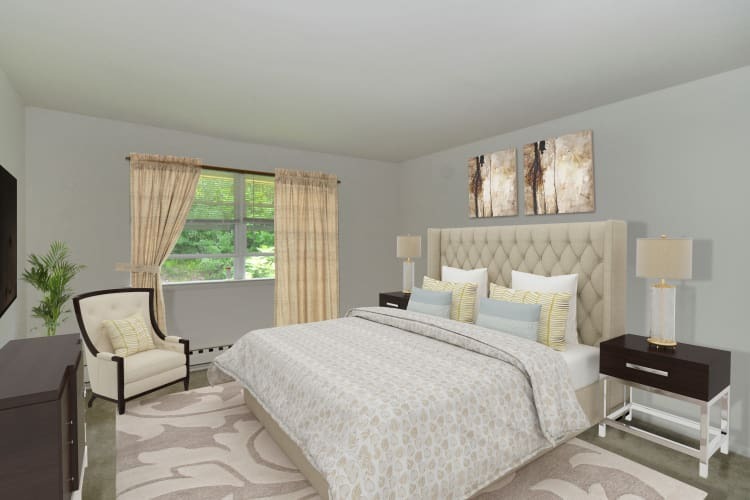 Whitestone Village Apartment Homes has a floor plan to complement every style. We offer 1 & 2 bedroom apartments in Allentown, PA. Our apartment homes, are fully equipped to ensure that your life is both comfortable and convenient. No matter which floor plan you select in our lovely community, you can be sure that every detail has been checked before you move in. Each floor plan undergoes a 101-point inspection that adheres to the Morgan Properties high standards for cleanliness, reliability, and livability. Experience more with Morgan.